The truck overturned just off of the Warrego Hwy. 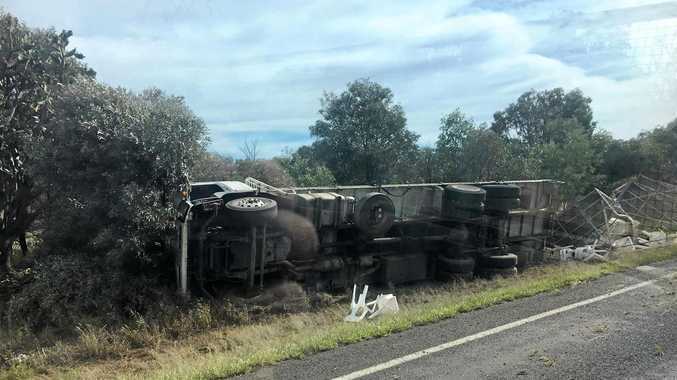 EARLIER: Police have been called to the scene of a truck roll over on the Warrego highway, 6km east of Dulacca. The truck, which was transporting plastic chairs, overturned on the side of the road at 7.30 this morning. Police have reported that the one occupant of the truck was uninjured in the accident. As investigations continue, the highway remains open for use. 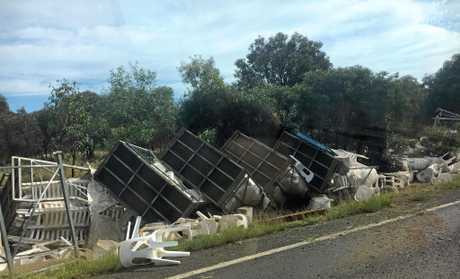 UPDATE: Further investigations have found that the driver, who was transporting chairs and tables to Roma for the upcoming Roma races, endeavoured to right the truck as it swerved but ultimately lost control, leading to its upturning on the embankment on the side of the highway heading west. Police reported that the one occupant of the truck escaped the incident with minor injuries, and was transported by the Queensland Ambulance Service to Miles Hospital for treatment on his arm. 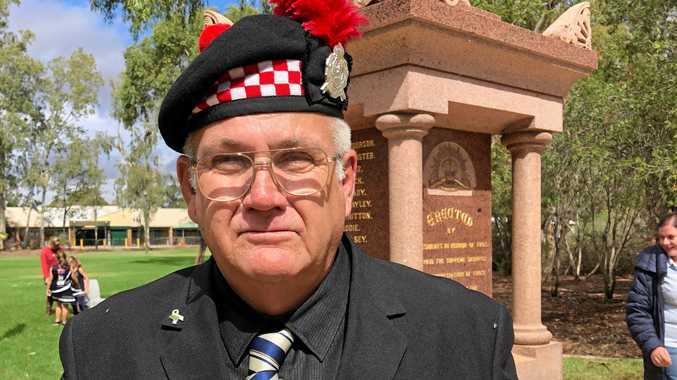 Tests performed at the accident site show that drugs and alcohol were not involved. The truck is to be righted this afternoon and removed from the roadside. TIPPED: The truck was transporting plastic chairs at the time of the incident.